SABMiller is developing a range of flavoured beers to pull back the market from wine and spirits drinkers and head off competition from AB InBev and Heineken. According to a report on marketingweek.co.uk, the world’s second largest brewer is planning to launch a range of “fruitier” and “sweeter” beers to appeal to a new generation of drinkers. 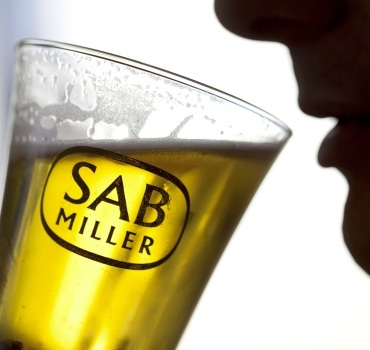 Alan Clark, chief executive of SABMiller, told the website that the alternative beers would be aimed to counter “taste harmonisation”, whereby a brewer’s attempts to maximise the appeal of its global brands results in major lager brands tasting the same. He said: “There are many opportunities to innovate and expand beyond beer with a range of products that move from non-alcoholic, to lower-alcohol versions….and to flavoured alcoholic drinks and ciders. “We have seen opportunities where we can reverse the trend of sprits and wines gaining share from beer. That’s certainly an objective for ourselves in more mature markets where we think the [beer] category has been neglected for a number of years and needs rejuvenation. “What you will see over time is that innovation is growing in the beer world and certainly as contributor to our revenue is growing substantially over time. Other beer varieties, such as Heineken’s Tequila flavoured Desperado beers have seen improved sales in the first half of 2013 giving renewed confidence to the category which is being used to pull younger drinkers into the market. The development of a new range of beers is part of the brewer’s four-pronged strategy to improve its premium mix, extend into other occasions and invest more in promoting its cheaper variants. Earlier this year the brewer announced plans to triple production at its brewery in Nigeria as part of a $110 million expansion plan. Flavored Beers have held a place in the European markets for years. Targeting younger drinkers (18 years of age in Europe). Will the same approach work with our 21+ young drinkers in the USA? A main competitor to Heineken’s Despardo in the UK is Global Brand’s Amigos – Tequila Flavored Beer. Imported to the USA by Dolce Beverage Group, it is now available across the midwest, Arkansas and Florida. Sweetened with agave nectar and South American Limes – Amigos does appeal to the younger drinker as well as with women who are looking for a more flavorful offering.